Editor’s note: Kuperman is editor of Nuclear Terrorism and Global Security: The Challenge of Phasing out Highly Enriched Uranium, and coordinator of the Nuclear Proliferation Prevention Project (NPPP) at the LBJ School of Public Affairs, University of Texas at Austin, where he is an associate professor. The views expressed are his own. Nearly a dozen years after the al Qaeda strikes of September 11, 2001, America’s nuclear power plants – and civilian research facilities with bomb-grade uranium – are still not required to protect against a maximum credible terrorist attack of this scale. It is time for policymakers to act, if they want to prevent disaster. The vulnerability to a terrorist strike was a key finding of a year-long study that I co-authored, as part of a larger interdisciplinary project at the University of Texas at Austin, under a contract for the Office of the Secretary of Defense (which has no responsibility for the final contents of the study). The good news is that America’s military-related nuclear facilities, operated by the Departments of Defense and Energy, are generally much better protected. The Nuclear Regulatory Commission has also modestly raised security requirements at civilian facilities, which have bolstered their protective measures. Disturbingly, however, nuclear power plants still must protect against only five or six attackers (according to published reports), less than one-third the number who engaged in attacks on 9/11. Nor are these existing facilities required to withstand the impact of a commercial airliner, as hit the World Trade Center and Pentagon. Unlike the Navy’s nuclear assets, civilian reactors adjacent to large bodies of water are not required to deploy floating barriers to defend against ship-borne attacks. Nuclear utilities are not even required to protect against rocket-propelled grenades and sniper rifles with armor-piercing ammunition, weapons that are possessed by many terrorist organizations. America’s nuclear power plants, and their pools of used fuel, are thus vulnerable to realistic terrorist attacks that could disable cooling systems, trigger meltdowns, and release massive amounts of radiation, as occurred at Chernobyl in 1986 and more recently at Japan’s Fukushima reactors. Nominally, our government is supposed to protect us against threats that exceed what utilities must defend against. Unfortunately, that is not happening. A terrorist attack could penetrate a facility in minutes to induce a meltdown, while government SWAT teams would not fully engage for at least an hour and a half, according to Congressional testimony by the Project on Government Oversight. A second danger is the potential theft of bomb-grade, highly enriched uranium from this country’s three civilian research reactors that still use such fuel. The good news is that these facilities have committed to convert to safer, low-enriched uranium fuel, which is not suitable for nuclear weapons. Unfortunately, the conversion program is delayed by technical snags, so the reactors will continue to use bomb-grade uranium for another decade or more. Most troubling, these research sites are exempt from defending against the modest, posited terrorist attack that utilities must protect against. So, our civilian facilities with bomb-grade uranium are even less secure than nuclear power plants. The amount of bomb-grade uranium at each site might not be sufficient for a nuclear weapon, depending on the sophistication of the bomb-maker, but the U.S. government has been assiduously vacuuming up even smaller amounts of such material around the world, to prevent the spread of nuclear weapons, as detailed in my latest book. In 26 years of work in this field, I have never once taken a stance against nuclear power or nuclear research. My concern, and that of the NPPP, where I am coordinator, is to reduce risks of nuclear proliferation and nuclear terrorism. Highlighting the vulnerabilities does not, as some might argue, give terrorists new ideas, because the 9/11 Commission noted that al Qaeda had already contemplated attacking a U.S. nuclear reactor, and at least two terrorist organizations have tried to acquire nuclear weapons. So what should be done? The main recommendation of our study is straightforward: all U.S. nuclear facilities, public or private, that pose catastrophic risks – whether from theft of nuclear weapons or fissile material, or from radiological sabotage of a nuclear power reactor – should be able to withstand a maximum credible terrorist attack. In the case of civilian facilities, where it is unaffordable or inappropriate for private operators to deploy certain protective measures, the government should provide additional backup to boost the combined defenses to the required level. Our study examines in depth, but ultimately rejects, arguments for having less than this level of protection at some such facilities. The basic reason is that the U.S. government cannot know with sufficient confidence that terrorists would refrain from attacking or using all of their capabilities against any of these facilities, or that the consequences of a successful attack would be less than catastrophic. In 1988, when I first drafted testimony about the danger of domestic truck bombs, this specter was ridiculed by officials who assured Congress that the United States would have timely warning of any specific terrorist attack. That was just a few years before the successful truck bombings at the World Trade Center in 1993, and the Murrah Federal Building in Oklahoma in 1995, neither of which was detected in advance by U.S. law enforcement or intelligence, which also infamously missed clues to the impending attacks of 9/11. American officials know about the vulnerabilities of U.S. nuclear reactors, and luckily there is still time to take preventive action. But this needs to start now. It would be a tragedy if the United States had to look back after a successful terrorist attack on one of our nuclear facilities and say that we could have and should have done more to prevent the catastrophe. « Previous entryHave crimes against humanity been committed in Egypt? Here we go again with another right-wing "alarm" in order to scare the public! Unfortunately, fear is a great motivator and the right-wing politicians will take full advantage of it as always. i take it everything you don't agree with is some kind of right wing plot? @Quinton, fear is one's worst enemy. No doubt living in a vulnerable world like we do, there are many ways terrorists could wrack havoc. A forest fire at the scale of the one in California causes more environmental damage than casualties. Hard to be too cautious or paranoid when considering the risk from a Fukashima type accident. The highest risks are probably plant deterioration, misoperation, and natural disasters. The NRC is reluctant to require mitigation of low probability events, just like the regulators at Fukashima, because the companies go to Congress and get the NRC to back off because of the impact on profits. great post quinton! you saw the terrorists plant to attack a nuclear plant in brussels right? Further proof we need to move beyond fission reactors toward fusion technology. They can't. Their oil company overlords will to much money. Moving towards fusion is a great idea! The technology is so secure that we do not yet have it after 50 years of trying to get it and billions upon billions of dollars have been spent in doing so. Ok, wait 30 years with the lights off and hope they can figure out how to make it work. Further proof that we need to move forward with a secure, long-term repository for spent fuel. Terrorists extracting the fuel from a working reactor is unthinkable. It would take weeks... months... to cool the reactor down enough to possibly extract it. But spent fuel is usually stored in open pools at reactor sites and securing all of those sites is not possible. Instead, that fuel should be moved as quickly as possible to a common repository which can be secured. Completely off point. Neither my CNN article, nor my report upon which it was based, nor my book discusses the risk of stealing spent fuel from a power plant. You are setting up a straw man to knock it down, which distracts from the real risks. I have toured the Wolf Creek station in Kansas since the security upgrades after 9/11. A prolonged attack by a very large group of trained, well equipped, suicide attackers could possibly breach security measures there. Then what? They now have a power plant well on the way to automatic shutdown. No way to cause meltdown. Nothing there that could be carried away, in the small window of opportunity they might have, in the way of radioactive materials. The containment dome on the Wolf Creek reactor was designed to tolerate accidental aircraft strikes. You are misinformed or overstating the danger. How, exactly, would someone steal a fuel rod from the fuel pool? They would have to: break in to the plant, make it all the way through the building to the fuel pool, and operate a giant (very slow moving) overhead crane just to get to the fuel rod. Then they'd have to figure out a way to put into a safe container (that probably weighs a couple thousand pounds) and drive it off site. Something tells me that's not going to happen. The research reactors using weapons grade fuel are using it to get rid of the material from disassembled nuclear weapons. To convert these reactors over will result in the weapons grade material to be out there for the taking instead of using it to remove it from the pool of weapons grade material. I am sure this author does not have the access to the security plans of the US nuclear facilities as this is confidential and even the workers at the plant don't know all the defenses. This article has some merit. The US nuclear plants wouldn't have the stockpile of spent fuel if our Senator from Nevada didn't have his way by making legislation to kill the Yucca Mountain fuel repository. Thank you Mr. Reid. So instead of 1 place to defend we have hundreds. 100% wrong. None of the HEU fuel is from retired weapons. If you want to learn, read my book. Improving security does not improve short-term profits, so an extremist capitalist society like ours is incapable of providing security. Security requires thinking about consequences and making plans that are not purely motivated by profit. We won't do that. Say that to the armed guards at the gate. If you manage to convince them to let you on to the plant property, then you may try to explain that to the guards with the automatic weapons within the rows of razor wire. We may live in a capitalist society, but that doesn't mean that the utility companies are going to build plants that have no safety or security measures. Most of the talk is about attacks people have thought of given preconceived notions, rather than what could happen. This was the achilles heel exploited by the 9/11 hijackers. There is no need for the attackers to steal materials and leave. They need merely to penetrate the facility, breach containment and damage or destroy the control systems and their backups, the on-site materials would do the rest for them. Since these people are known to be suicidal, the risk of radiation exposure, to include fatal ones will not deter them. With 6 dedicated people, this type of attack is doable. Too many errors in this report to list. Way to many. Anyone with even a minor knowledge of nuclear power can uncover them. First and foremost; Nuclear power does NOT use bomb grade uranium. There are also different isotopes of uranium. One that is used for power and bomb initiation(u-235), the other can be used to absorb or deflect radiation(u238). The concentration of uranium-235 in power systems is about 15% or below(more commonly less than 5%). The highest concentration is in nuclear power plants used in military submarines and aircraft carriers. Weapons grade uranium comes in 90% concentration or higher. To be effective as a weapon, you also need plutonium as the neutron initiator. The analogy with Fukushima and Chernobyl as opposed to spent fuel is wrong, misguided and even stupid. Spent fuel is exactly that. It has lost a significant amount of its uranium through fission. The uranium-235 has been converted to other elements and there is not a sufficient amount of u-235 to produce the needed power in the fuel. Fukushima and Chernobyl occurred on fully fueled reactors that were in operating mode. It takes a significant amount of time to shut down a reactor. Nuclear reactors don't operate like a switch.. Both the fission reaction and temperature has to be brought down. This is why they are considered 'hot' when running. The storage cooling pools are designed to keep the residual radiation trapped by water and to keep the spent fuel from gradually warming up. Fukushima – Reactors were in operating mode, tsunami hit, operators decided to shut it down(crash the reactor) w/o ensuring that they could keep water cycling in the reactor. Steam reactors, like Fukushima, can operate near 1000 degrees Fahrenheit in the steam generator. Fukushima had its fuel supply for the backup generators located near the shore. The storage pools were not involved. I do not understand why Fukushima couldn't have used the residual steam generation during shutdown to run the cooling pumps... but I suspect that it was a management decision. Chernobyl was a carbon reactor, not a water reactor. During a test, a claimed power surge caused the reactor containment to vessel to rupture and the carbon core to ignite (see note above on steam generation temperatures). You can't put out a carbon fire with water.. its like adding fuel to a fire. The explosion was a combination of superheated carbon mixing with water and air.. it was not a nuclear explosion. The article is very irresponsibly written, with the intent to create hysteria. My question would be.. to what purpose? What is this person's real goal. You need to read more closely. The article clearly states that the bomb-grade fuel is at research reactors, not power plants: "A second danger is the potential theft of bomb-grade, highly enriched uranium from this country’s three civilian research reactors that still use such fuel." Again, this is detailed in my latest book. Available for free at good libraries. Take a read. Closely. "They need merely to penetrate the facility, breach containment and damage or destroy the control systems and their backups, the on-site materials would do the rest for them." They also need to keep control of the site for about 3 to 4 days. Destroy the control system and the reactors do a 'crash' shutdown, with the water still cycling. (remove power from a magnetic latch, and the latch releases – similar to how some firedoors now work) Drain the water out of the reactor and it shuts down. In water reactors, the water is a 'speed' moderator for the neutron, if there is no water, the reaction does not continue because the neutrons are too fast. The 'proxy' control systems for the power station are located in one room. The actually controls are located all about the power station. As for a terrorist being willing to sacrifice themselves, that is fine and good, provided they are alive long enough to accomplish their goal. The radiation levels can kill in minutes or less depending where you are. NOTE: Some systems can crash the reactor with one button. Restarting it is a different problem. Bruce I was quite impressed with your two above comments. And though you were correct in both comments. Your first comment was a bit off mark. Per the author of this article he was speaking of three civilian "research facilities" that are producing and using weapons grade uranium. Isotop U235 needs to be enriched to 93% to become weapons grade. To generate power for the civilian markets electrical needs. Uranium needs to be enriched to roughly 3-7%. And for medical purposes around 17-23%, Any enrichment beyond 23% then the intent is to create weapons grade Uranium. Enriching plutonium is a simpler process to make a nuclear weapon. The Pakistan government used the Plutonium route, as well as the North Korea due to many process aren't necessary. But then you also have a more unstable weapon and other mitigating issues could occur. However, I did find your comment very informative. And glad you went in to such detail. Whereas, reader would become better educated. Most people think you can just reach in and pick out those spend fuel rods. And expect no injuries. Like you mentioned. A terrorist wouldn't last long enough to achieve their objective(s). Since high enough radiation in a short time span can be lethal within minutes to an hour. Where the author fail in his subsequent article, is he didn't go into enough detail for people to understand it. Or for others like yourself who were making valid counter points. Possibly the author was allowed so much space to get his point across. Per his comments to you and others...he said read his BOOK. Maybe he had a partial agenda in which people would purchase his book. Though he did say anyone could read it for FREE at any decent library. But that's most books available and for sale. I enjoyed reading your points. And something tells me you have some expertise in this field. Or enjoy doing extensive research when something interest you. Great post. What about disabling the cooling for the spent fuel pools? Isn't that what caused the problems at Fukushima. What if they just want to make a mess? Sorry to say you are also wrong – if you shut off the water the fuel will melt. But more importantly, Mr. Kuperman is so wrong in so many ways that I won't even begin a rebuttal. He doesn't really know SQUAT about commercial nuclear power plant security, and for a very good reason: that information is not available to the public. Any terrorist attack on a nuclear facility would be a suicide attack. Further, the risk of nuclear proliferation from commercial nuclear facilities is near zero. There is virtually no way a terrorist attack force can gain control of a plant, move fuel to shielded transportation casks, have the equipment to transport the fuel, and get it to and area with the technology to extract the fisile material without killing themselves from radiation poisoning, or is a short enough timeframe to avoid a responding security force. I don't know what plants this author is referring to, but I can say with certainty that 5 or 6 attackers aren't going to get anywhere near anything sensitive. They 'might' get by security at the gate, and maybe get to some training facilities or some low level administrative offices, but nothing that would have anything to do with the workings of the power plant. This guy is biding for his 15 minutes of fame. No terrorists are needed all the nuclear power plants in america are already leaking radioactive waste. The way the Fed and the EPA deal with this problem is to turn off all the allarms that keep going off. It is just a mater of time til we get our own Fukashima and then all the politicians will run to the undergaround bunkers we (the people) built for their comfort. PRESIDENTS MURDERS CHILDREN OF NORTH AMERICAN USE OF SATELLITES FOR MURDER, NANOTECHNOLOGY IN MEDICINE, VIOLATIONS OF GIRLS. Anti-nuclear agitative propaganda (agitprop). Anyone who compares Fukushima to Chernobyl is comparing staplers to pumpkins. Actually, the feds knew about the OK City bombing ahead of time, which is why those who were "in the know" didn't show up for work that day. The real danger is an inside-job attack, in order to whip up public hysteria to further clamp down on civil liberties. 9/11/2001 has pretty much milked for all its worth, so what will be next? As a recent graduate from a nuclear engineering program, I must say that this article is very refreshing. Your arguments are well developed and you are one of the few people to bring up a concern about the state of nuclear energy in this nation without simultaneously dismissing nuclear power as a viable option for large scale (I do not condone putting all of our proverbial eggs into one basket) power generation. A large portion of the population fails to recognize that when used responsibly and carefully, nuclear energy provides a safe and relatively clean method of power production. I hope that more articles like this emerge in the nuclear field, outlining concerns without spewing radical misconceptions and perpetuating the fear of some inevitable doom associated with nuclear reactor utilization. I intend to read your book and hope to see more articles from you in the future. Somebody please cancel the account of the crazy copy-and-paster. I think the article makes a good point. It should be possible to do better.
" It would be a tragedy if the United States had to look back after a successful terrorist attack on one of our nuclear facilities and say that we could have and should have done more to prevent the catastrophe." Sadly, this is our history, which we have repeated over and over. Ultimately, it boils down to those in power having the political will to act. I work in the nuclear industry. I refuel, and dry cask store fuel. I am not an engineer. My first point is just some basic information. The fuel pool is cooled by a water based heat exchanger with a few pumps. There are two of everything as with most nuclear systems. The pools are hundreds of thousands of gallons of water. If the pumps fail the water will gradually heat up. The pool will never melt down, or go critical, or explode by design. The racks which hold the fuel have boron impregnated to absorb neutrons, as well as boron in the water for PWR's. The pools are monitored with level and temperature, (and some cases chemical content). New water is put in the pool when the level decreases via evaporation. So...if the cooling fails the water heats up and evaporates. Whats the correction? We put more water in. Fresh water will also cool the existing water down. It would take weeks for the water to heat to a level that would cause me concern. Now if the water is gone from around the fuel the heat transfer medium is removed. Thus the fuel will get very hot...like thousands of degrees hot. It will melt the metal which holds the uranium pellet, or more likely crack it. This is what happened at Fukishima. the cladding cracked, and the uranium is getting into the water. This is bad, as this highly radioactive, plus you have a difficult time dealing with this water. All of the work done with used fuel is remotely done with large cranes and heavy equipment. If you knew what you were doing, and had full access to the facility it would take a few weeks with dozens of people to actually get something offsite. With all that...IS it reasonable that we need to protect this so vigorously? There is constant oversite to the pols, direct links to the NRC, NRC is onsite at these facilities. I was at a nuclear plant when 9/11 occurred. I have watched all of the security improvements or the past decade. I have moved equipment in and out of the plants. I cannot imagine anyone ever getting through the fencing, and the checkpoints within a nuclear power station. I believe there are 2-4 fences, with razor ribbon, vibration sensors, security towers, concrete barriers, kill zones, cameras, etc. There will always be the guy who says its not enough. If you saw the buildings these reactors are housed in you would say to yourself..yeah thats enough. 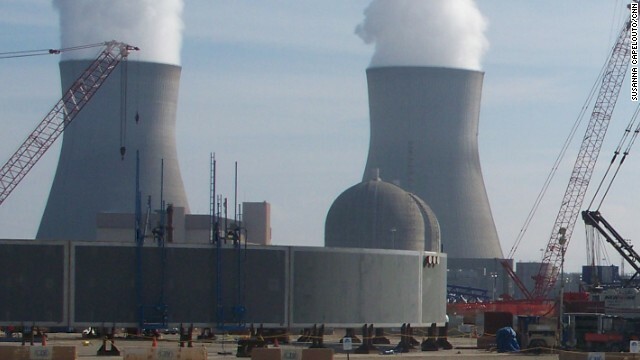 Nuclear plants are way too difficult for terrorists to hit, plus I am not sure what they would do if they did attack. The reactor would be shutdown before it would hurt itself by the control systems. It is automatic. Yes the risks are high, and the danger is high. That is the downside to nuclear power. But the upside to the clean power outweighs this risk as we put in safeguards against each risk. China is building about 30 nuclear power stations. Why? because they offer a ton of clean power, small footprint, safely run, fuel can be brought in, etc. In America the nuclear industry is in decline. One being the cost put on utilities to cover postulated terrorist attacks, over regulation, etc. In addition the Nat gas industry is providing cheap fuel for the time being. In addition to that our fine government has put regulations in place to have wind farms subsidized. Thats right we taxpayers subsidize wind to tune of the cost of nuclear power. Do the math.....so I can pay for wind via tax money then pay for the power...or hey just give me free nuclear power. Not that simple I know, as wind is a feel good green energy...but wind will never power Americas needs. Never. America has been a nation which has always depended on the Middle East to supply our nation with oil, as millions of hard working Americans who fuel their cars and classic Ford pickup trucks after two weeks of hard earned pay which we had to work extra hours to pay the ridiculous high gas prices at the pumps. When we look at the fuel pumps and see how fuel is so expensive, most Americans like myself often wonder how a rich nation like ours has high gas and energy prices. A nation like ours which has Nuclear Power and rich in oil can still depend on the Middle East for oil and energy, we should turn to Nuclear power and the resources in our great land to supply the future of America's energy for future younger generations in America. Nuclear power is the future of America's energy form the middle class to the rich one percent as well, when we sit around the family Sunday BBQ sipping a few cold ones and frying some steaks on the grill that is oil and nuclear power not from the Middle East but from our reactors in America. We all know that the terrorists will see our nuclear rectors as a threat to their plans, because we would be less depended on the Middle East for their resources in turn there would be less money to support terrorists groups such as ISIS or some right wing terrorism cell which has strange ideology about peace and America's plans to improve our economy. As Americans we know terrorism is apart of our society just like homemade apple pie on Thanksgiving day, how we can safe guard our economic future is by having more security around our nuclear reactors from having stricter background checks, on employees working in those plants and fail safe guards to ensure if there is a terrorist attack our nuclear rectors won't fall into their hands. Nuclear power it's our ticket to economic freedom and showing the world that America, will never be energy depend on any other nations if we follow the path of stricter security, in our nuclear power plants and sending a message to groups like ISIS that we as a nation will never be tolerate threats on our shores or form overseas from terrorism groups that will harm America's economic growth plans for years to come.